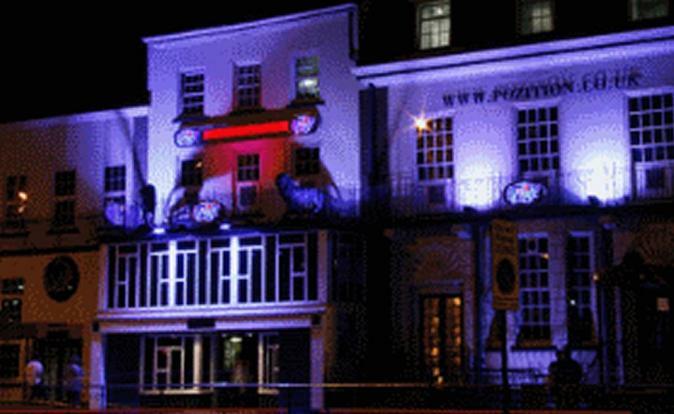 Rappers Dragg and Sneakbo were due to perform at Pozition Nite Club, George St, Hull on November 15, 2014. Dragg has a strong following in countries such as USA and South Africa and Sneakbo combines Grime with Afro-beat and Dancehall. On his Facebook, Dragg posted a message: "Would like to say a massive thanks to everybody who got down to Pozition last night to support the cause! IT is more than appreciated, however we would like to deeply apologise for the performances being cancelled. "We don't want people to feel as though it was a scam or they were ripped off as we have never done that from previous events of which some were even at a larger scale than last night. "Sneakbo was meant to perform at 12:30 but due to delayed arrival, the schedule had to be pushed back which got frustrating for some of you all understandably! "As people were already getting impatient from waiting around, the change of schedule caused quite a large amount of people to go upstairs to the RnB floor and when Sneakbo arrived he didn't want to perform to the smaller crowd that was left downstairs hence his cancellation. "We tried by all means to inform people to come back downstairs to begin the show, however there was no way of announcing upstairs to that many people. "This is something that Pozition Night Club or Full Flava could do nothing about as the main act did arrive in the end but didn't want to perform! "Sneakbo did do a meet and greet and taking pictures with some people who were there but, we feel people who paid to watch a performance and not just for a meet and greet. "We are aware of all those that had paid for standard and VIP tickets and we will compensate you all if you get in touch via Facebook, twitter, email or any other forms of contact. "Sorry for the long letter but we just had to be transparent with our supporters as we've always been!"